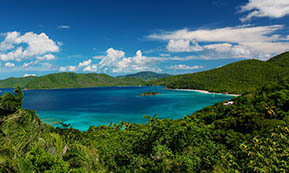 The North Shore of St. John, Virgin Islands is certainly among the most beautiful and breathtaking geographic phenomena of nature. 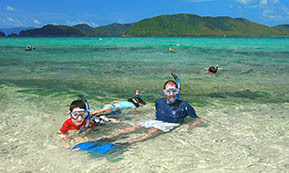 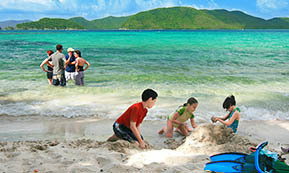 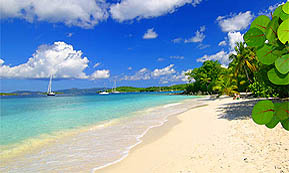 Cove after cove of pristine turquoise bays, each with white sand beaches at the foot of emerald green tropical hills, glisten under the bright blue Caribbean skies laden with billowing cumulus clouds of all sizes. 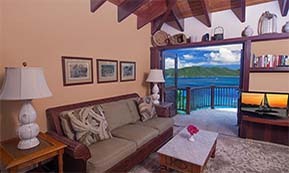 St. John's spectacular north shore panoramas are testimony to the majesty of natures beauty. 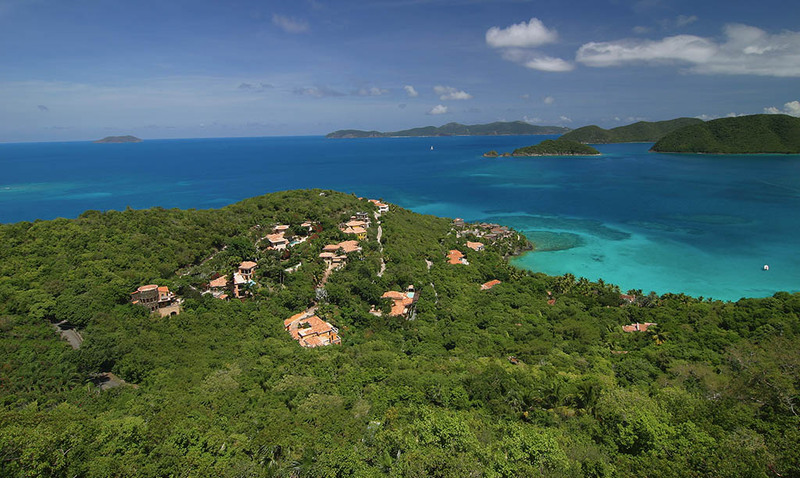 It is this beauty that inspired Cristopher Columbus to christen the geography of this area "las islas virgenes" in honor of a religious legend of beauty. 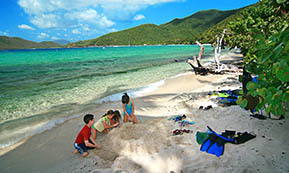 It is also this beauty that inpsired Laurence Rockefeller to create a fund to preserve and protect the north shore in its natural state of beauty for future generations to experience as the U.S. Vrgin Islands National Park. 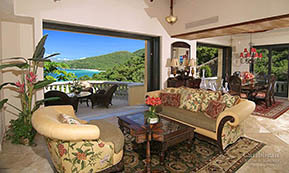 Surrounded by these magnifcent panoramas of the USVI National Park, Peter Bay Estate is an oceanfront, residential community of ultra luxury villas. 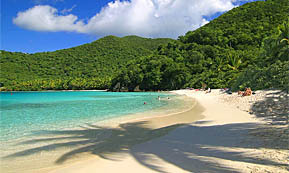 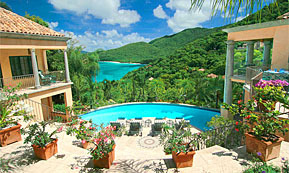 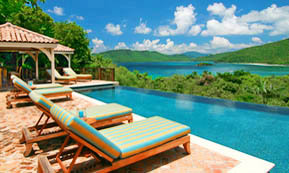 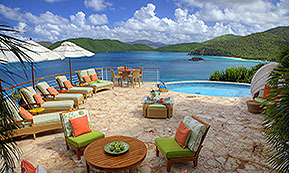 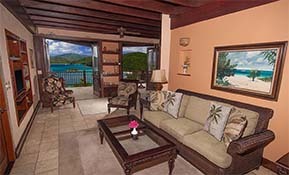 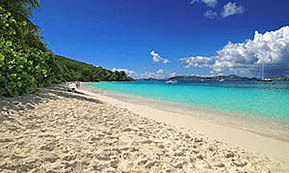 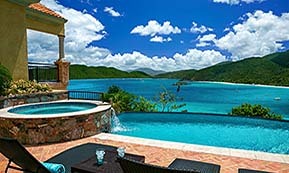 The address of distinction on St. John is Peter Bay Estate. 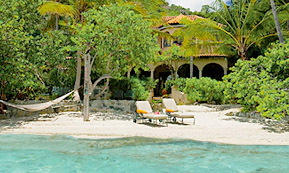 With its own private white sand beach, and a short drive to St. John's famous beaches, Peter Bay Estate is an enchanting location to experience the North Shore's beauty.